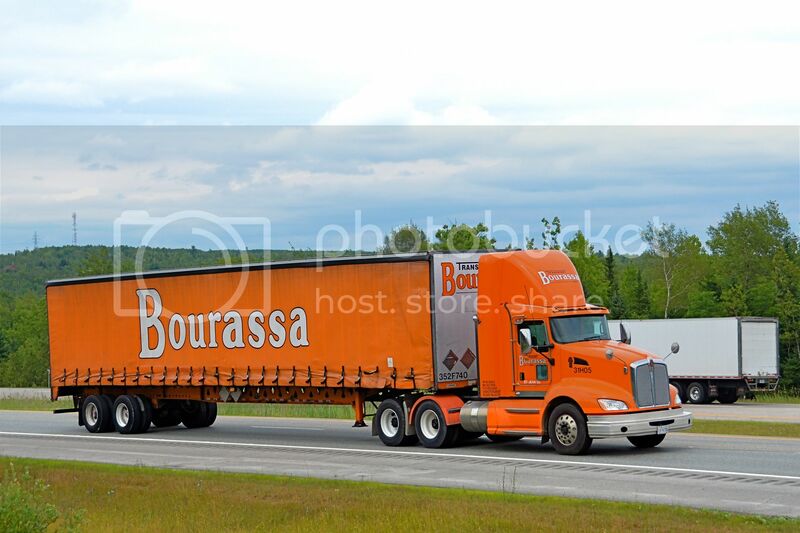 At the end of each afternoon, there is always 3-4 Bourassa trucks leaving my hometown of Sherbrooke Qc on their way back to their terminal in St-Jean a little more than 100 km northwest. here is one of them. Next "try" for my "A shot a day" series!!!!! This weekend the "summer-festival" is "on" in Emmerich am Rhein,Germany, with many "bands", a "middle-ages market", "fire-works show" and the "fair-ground"!!!!! On my "way" to my "work", this morning (07.00 hr), I catched this old Scania T-93M next of the "city-hall"!!!!! The attraction-trailer is "seen" behind!!!!!! 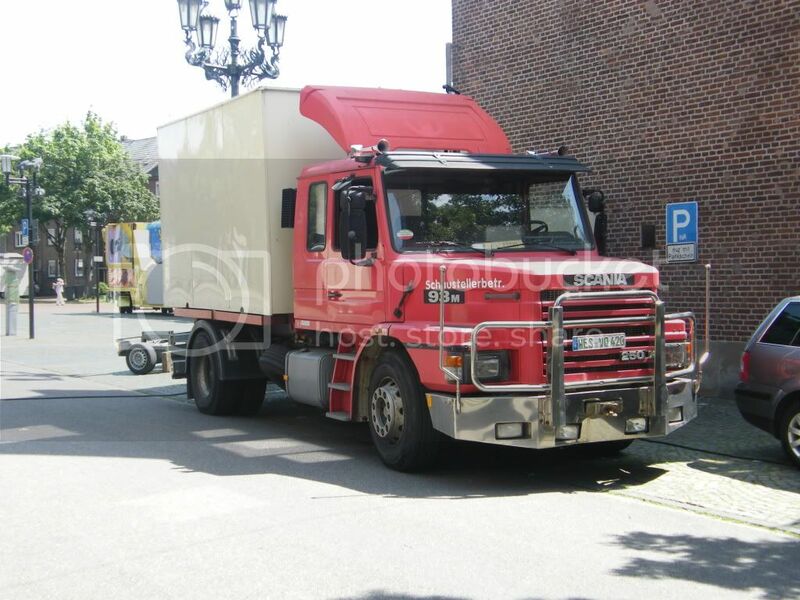 I will made a "new topic" in "Euro-trucks" for all the other "fairground-trucks" I did "see" this morning!!!!! 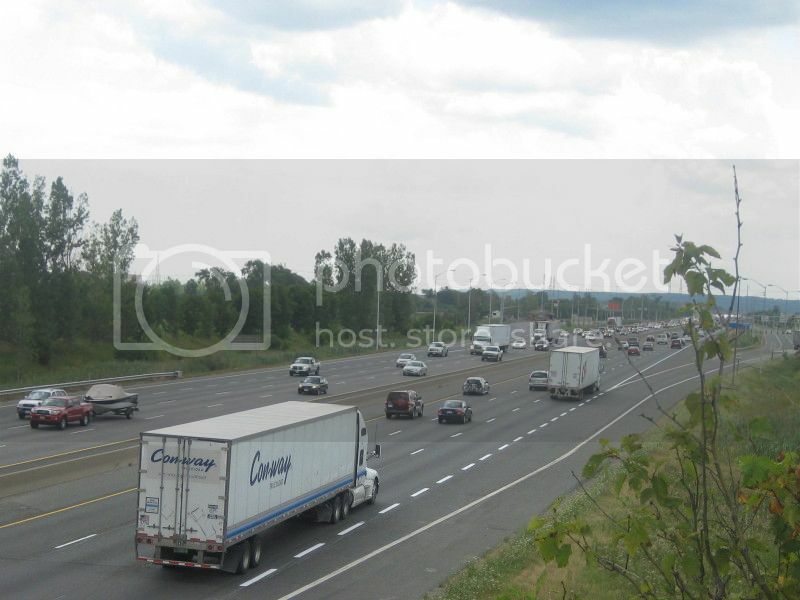 Two Conway Truckload units head west on Highway 401 passing the Milton Ontario scales. During the "morning-walks" with my dog (German shepherd called "MACK"!!!!! ) I made always a "look" on the roof of a "rain-water-pumping-station tower"!!!!! Directly at the river Rhine and the "oil-tanker vessels loading dock of a chemical plant!!!!! From there you have a wonderfull view over the river and the "plant-area"!!!!! That Plant became for a couple of week a new "reactor", the "old one" will now be "broken off" and is sold to Malaysia!!!!! 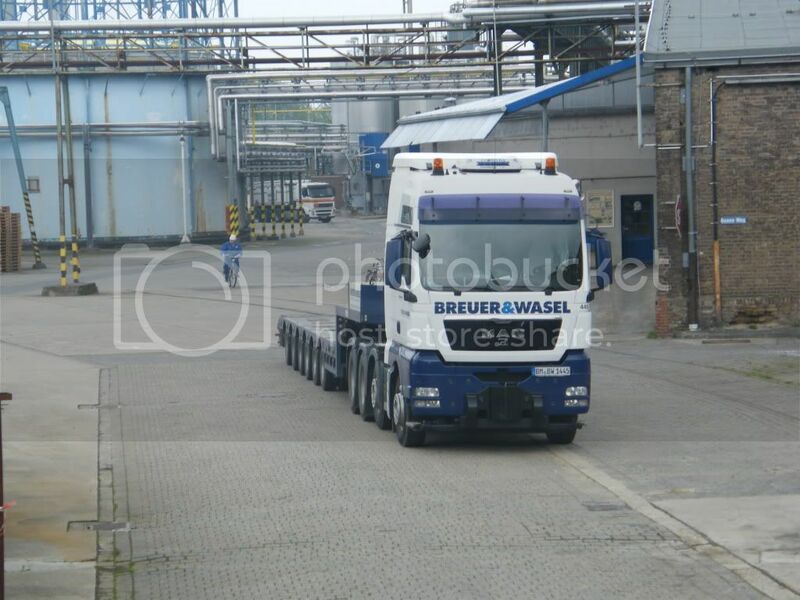 I found this morning this MAN TGX from the heavy haulage and crane-hire company "Breuer & Wasel" parked on that area!!!!! The Volvo FH-12 in the background is from "Air-Products" with a special "gas-tank-trailer"!!!!! Another week, another KW K-100. This one , equipped with a big crane, belong to a small carrier based in Waterloo Qc; Deblex. I don't know if I will succeed this time but I have troubles with Photobucket to transfer pictures. You succeeded Gerard, nice picture and what on earth is he hauling on that trailer?? Looks like some REAL large feathered birds !